World class training facilities to rent! We provide fit-for-purpose training rooms set-up to your specific requirement. Every room is equipped with a data-projector, whiteboard, whiteboard markers and eraser. Computers are available at a rental fee per day and internet access is also available at an additional fee on request. We will keep you connected through-out your training with free, high-speed wifi. There will be enough popcorn to keep your jaws moving for the duration of your rental period. The room layout can be arranged to fit your training needs.Anything is possible. 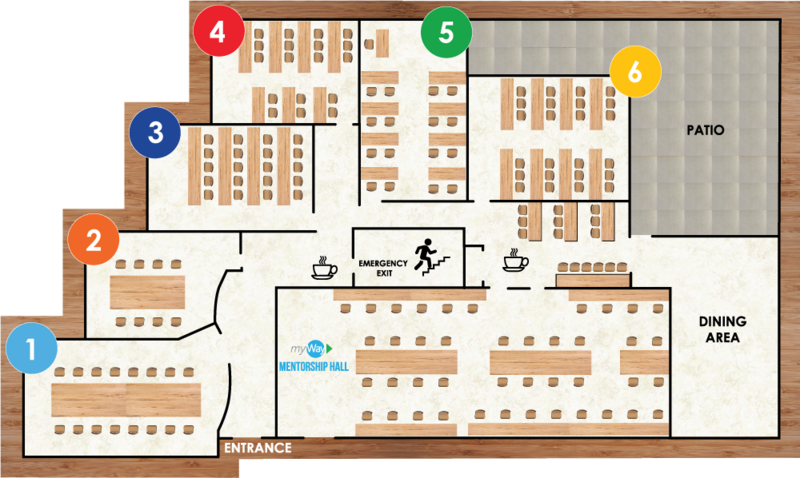 Our pause areas are designed to accommodate delegates in a comfortable yet trendy way. All our centres have serviced ablution amenities onsite and parking for our clients. We offer inexpensive catering services of tea and coffee breaks as well as a cooked lunch. Saturday bookings are available. Should you wish to go ahead with a booking, please complete the below booking form for further clarity or questions for a quotation specific to your brief.